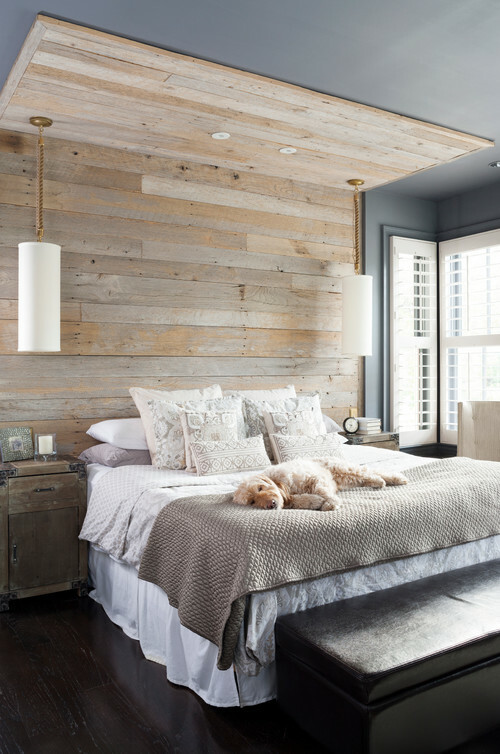 How about this incredible modern farmhouse style bedroom with reclaimed wood wall? It’s like a fabulous extended headboard that totally showcases the most important piece of furniture in your bedroom. I love it!